What does detoxification have to do with weight loss you ask? A heck of a lot, if not everything! As my mentor, friend and doctor, Dr Murphy always says, "People think they have to lose weight to get healthy, when really they have to get healthy in order to lose weight". The liver is an incredible organ that decides where toxins and fats (among many other things) will go. If the liver is sluggish due to being overburdened with toxicity from the environment, chemical based beauty care products and detergents, poor quality food, stress and excess alcohol intake, it will have a hard time getting all of the toxins out of the body. So, it does something very smart. It stores toxins that can't get out of the body in fat cells where they will stay relatively safe and not harm the body. When you think of all of the years we come in contact with toxins everyday, it's no wonder the liver begins to get a bit sluggish after a few decades. This is when we begin to see 'unexplained' weight gain and stubborn weight retention. No matter how restrictive you get with your caloric intake or how hard you train at the gym, if your liver isn't able to process toxins often the weight won't budge. I used to see this happen fairly often in my early years as a health coach. My client was seemingly doing everything right! Eating clean and training regularly yet the weight just wasn't coming off. This led to massive frustration and disappointment both for my client and myself! It wasn't until I learned of the role that detoxification and genetics play in a person's ability to lose weight (and keep it off!) that I was able to see a drastic improvement in this roadblock. That's when we launched the Fit Genes Program. It details exactly what your macronutrient intake should be based on your genetics as well as what type of exercise you should be engaging in and how often you should train. Also, by cleaning up your environment; improving food quality, decreasing exposure to toxins in beauty care products, water, air and decreasing stress (just to name a few) and supporting liver detoxification you will be well on your way to seeing your body composition completely change. 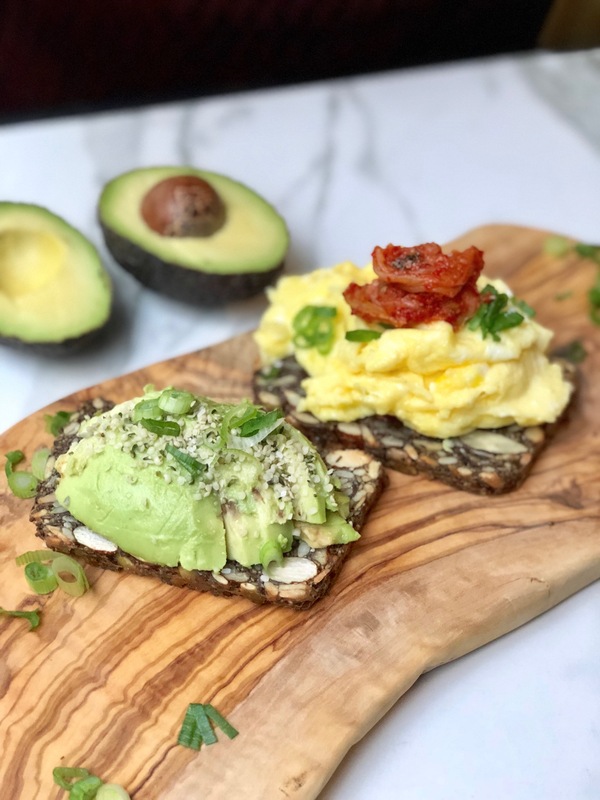 If you aren't a part of my Fit Genes Program but are looking to support your liver and reduce inflammation then this gluten and dairy free detox bread recipe is for you! The liver requires high quality sources of protein, fats and vitamins in order to complete both phase 1 and phase 2 detoxification. Many people are really efficient at phase 1 yet sluggish at phase 2. By eating a well-balanced and nutrient dense diet we often see both phases of detoxification improve and symptoms reduce. 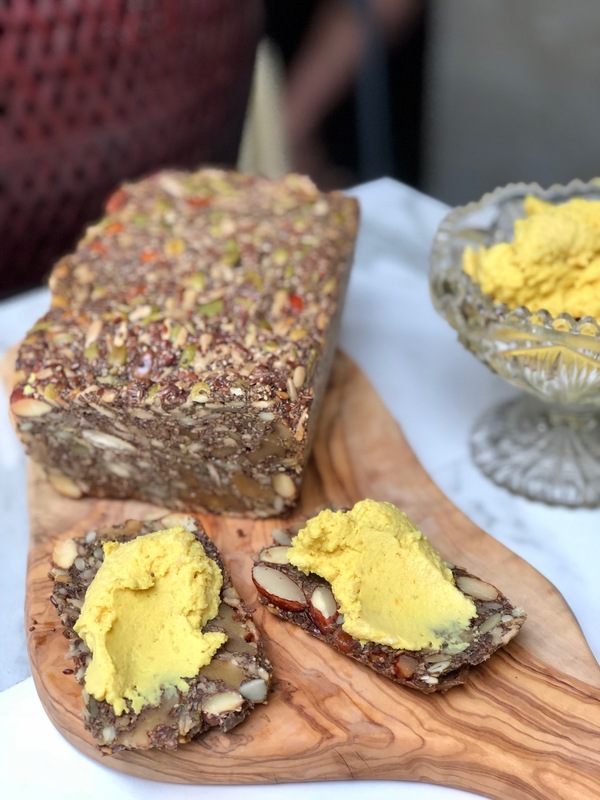 The nuts and seeds in this recipe serve the liver with the quality nutrients, including macronutrients, that it needs in order to mobilize and release stored toxins in fat cells and begin to burn stored fat as energy. As a bonus the high soluble and insoluble fibre in this recipe act as a binding tool for toxins and gets them out of the body in a timely fashion. This includes hormone byproducts which tend to accumulate in the body when the liver is sluggish which can lead to hormonal imbalances and weight gain/weight retention. I hope you love this incredibly nourishing and simple recipe as much as my family and I do. Preheat oven to 350 Fahrenheit. Mix all ingredients in a large bowl and combine well. Line a loaf pan with parchment paper and pour ingredients into pan. Bake at 350F for one hour. Slice thinly with a bread knife and top with your favorites! Homemade hummus, jams, nut butters, toast it and top with vegan cheeses or shaved chicken breast with mustard. The options are endless! Try baking two at once, it freezes really well! You can sub out the nuts and seeds for other favourites. 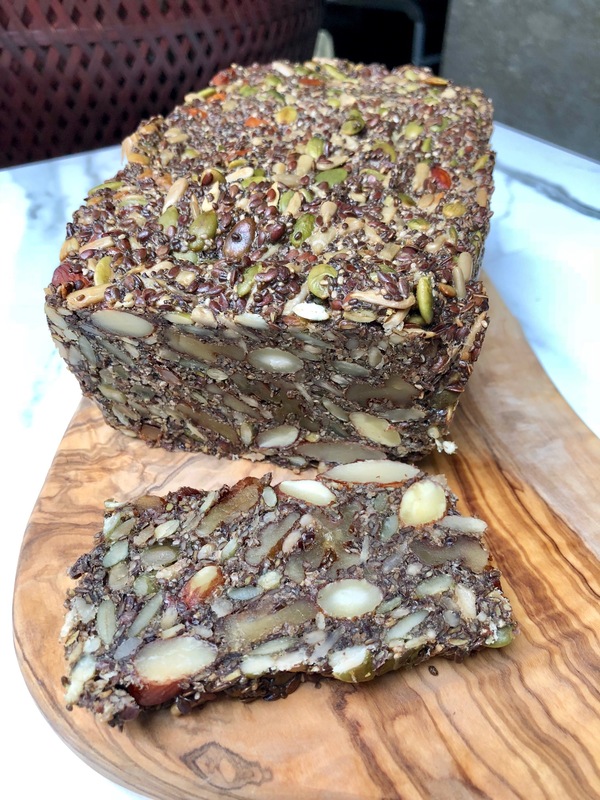 At Christmas time this would be beautiful with some warming spices and pecans instead of walnuts, or try adding hemp seeds instead of flax. I love to rotate my nuts and seeds after each package is done, it's a great way to get different nutrition in the body and avoid developing food intolerances. Have tummy trouble? If nuts tend to irritate your gut try soaking them for 8 hours or overnight before using them in this recipe. This helps to improve digestion and reduce IBS symptoms.